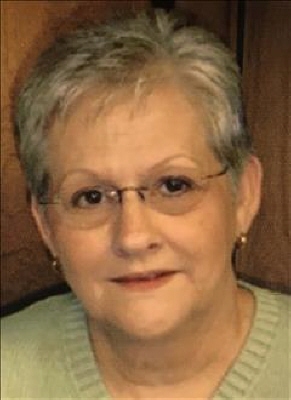 Carolyn Mae Mathis passed away Monday, April 8th, 2019 at Heritage Village Nursing Home in Holdenville, Oklahoma at the age of 78. Carolyn was born May 22, 1940 in Atwood, Oklahoma to Raymond Earl Jones and Meddie Mae Phillips. Carolyn graduated from Holdenville public schools in 1958. She married George "Bud" Wesley Mathis February 14, 1959 at First Baptist Church in Holdenville, Oklahoma. Carolyn was a homemaker and was a member of the First Baptist Church in Holdenville. She loved spending time with Bud and enjoyed riding 4 wheelers, cross stitch, cooking, going out to eat and spending time with her grandkids and family. Carolyn is preceded in death by her parents and husband. She is survived by her two sons; Gregory Keith and wife Casey of Durant, Oklahoma, Steven Everett Mathis of Ada, Oklahoma, grandchildren; Bryan Mathis and wife Brittney, Jami Mathis, Joseph Mathis, Bailey Mathis, Justin Mathis and Keigan Hinds and great-children; Mylee Mathis and Bevin Mathis and numerous other relatives and friends. Funeral service will be 2:00PM Thursday April 11, 2019 at the First Baptist Church in Holdenville, Oklahoma with Pastor Ronnie Mayfield officiating. Pallbearers are Bryan Mathis, Joseph Mathis, Justin Mathis, Ben Mathis, Pete Mathis and Joe Mathis. Honorary Pallbearers are Sam Mathis and Jay Greenlee. To send flowers or a remembrance gift to the family of Carolyn Mathis, please visit our Tribute Store. "Email Address" would like to share the life celebration of Carolyn Mathis. Click on the "link" to go to share a favorite memory or leave a condolence message for the family.